On Memorial Day, more than 150 college students from 70 cities and towns across the Commonwealth began interning for Elizabeth Warren. They came from 60 different colleges, and with the start of the new school year, will put the skills they learned to work back on campuses. 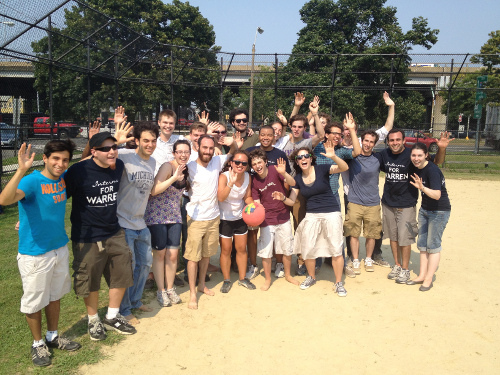 Last week, the interns finished their program and ended their last day with a kickball game and plans to meet up again for the GOTV push.